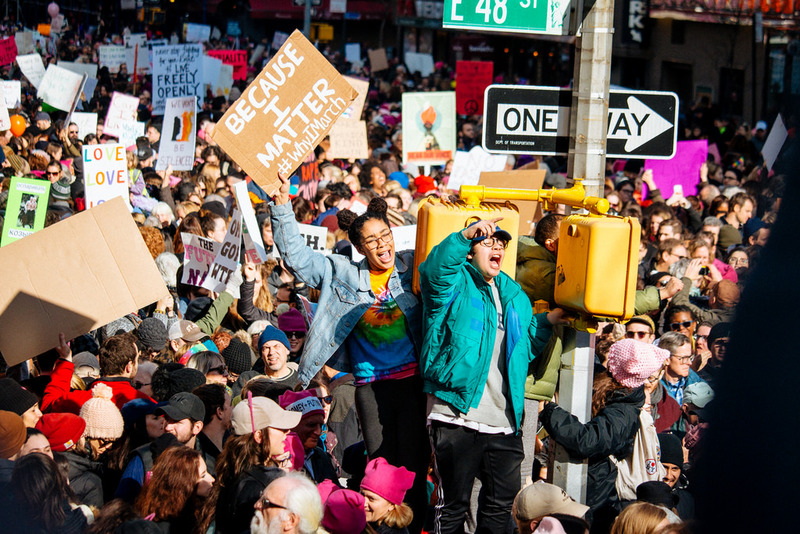 2017 Women’s March on NYC; image: mathiaswasik via Flickr. The streets of NYC will fill once again this Saturday, January 19 for the third annual Women’s March on New York City. The first march took place in 2017, as a demonstration in support of women’s rights and in resistance to a growing list of gender-related injustices during the inauguration of President Donald Trump. Last year’s march drew an estimated 200,000 participants. As with any jubilant mass display of human resilience, there will be street closings. 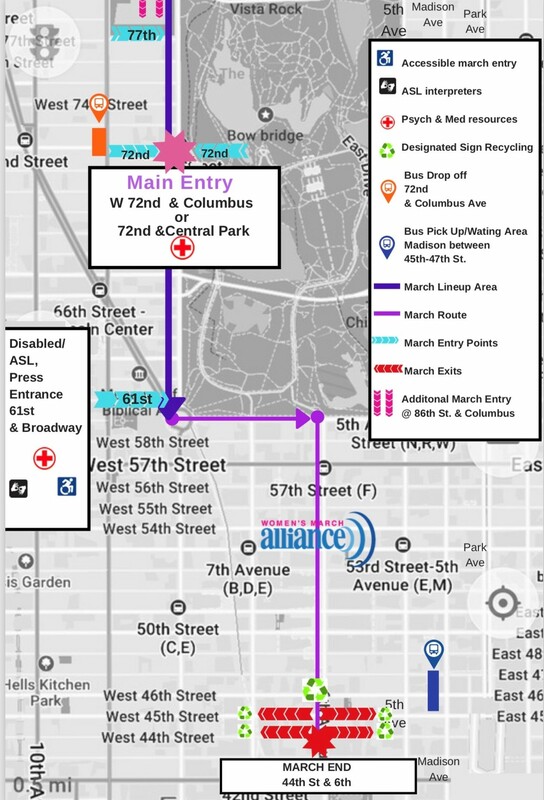 Read on for info on where to march, how to avoid traffic snarls and what makes this year’s march different. Map courtesy of Women’s March Alliance. This year’s events include a rally in Foley Square in addition to a march through the city, each organized by a different organization. For the latter, participants will be gathering at Central Park West and 72nd Street at 10 A.M., and following a rally, will throng their way down to 44th Street and Sixth Avenue. The second event will be taking place in lower Manhattan’s Foley Square at the nexus of Centre and Lafayette Streets, also beginning at 10 A.M. and wrapping up at 2 P.M.
You can find out more about Saturday’s march and rally here and here.